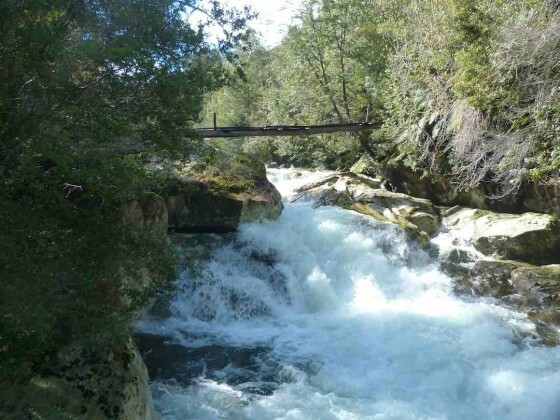 The takeout is only 90 km from Pucon so makes for a good day run or because of its high quality camping options, can be combined with other local runs to serve up a multi-day itinerary. 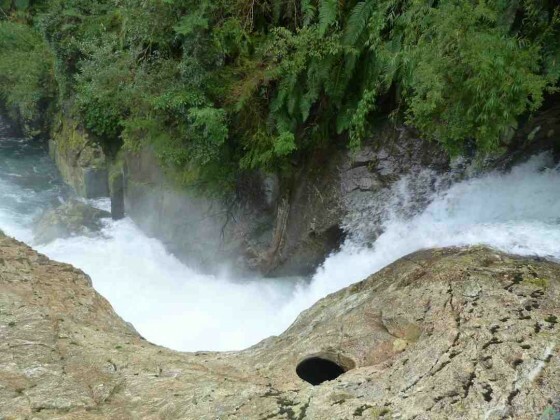 To arrive from Pucon first travel to Villarrica then turn north and follow interlagos road towards Cunco. Before reaching Cunco turn towards Lago Colico. A few kms before reaching the lake is a left hand turn that says Tres Horquetas and Codihue. Take this turn and pass a Pisicultura (fish farm). In 2 KM you will come to a bridge which is the simplest takeout option. At elevation 400 meters. 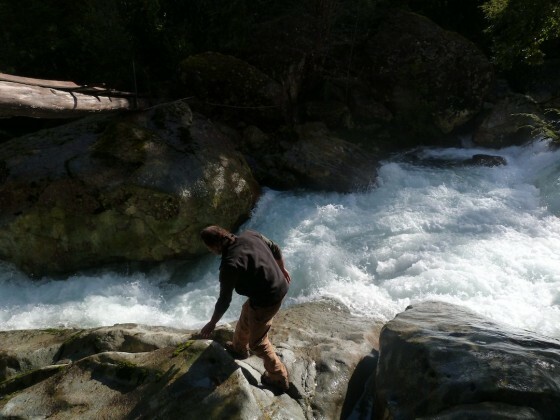 Continue 5 KM upstream to elevation 600 meters and put in where ever you have seen enough. The road can be very rough and muddy after a strom and will require 4 wheel drive in some spots and good clearance. The 5 KM run drops 200 meters or 40 m/km average with the bulk of the class 4 action in the first 3 km tapering off to class 2. A good level is anything over 250 CFS. In the first km you will come to a class 5 rapid leading into a 6 meter waterfall that lands in a pothole. This drop can not be seen from the road so take care approaching it. The right wall cliffs out so a portage on the right is not an option . This run requires a lot of rain so is only runnable after prolonged precipitation.